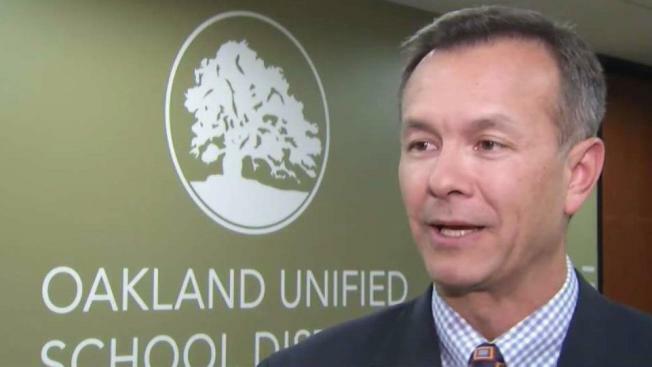 Thousands of Oakland Unified School District employees had their most recent paychecks deducted from their checking accounts this week due to a "human error," according to a district spokesman. In a tweet promising that the funds would be returned by end of Wednesday, district officials said, "The payroll issue was NOT caused by anything the District did or did not do." About an hour later, spokesman John Sasaki retracted that statement, saying that the snafu was the result of a school district worker's error. The SF Gate put the number of impacted employees at more than 2,800. The banking mistake was first reported around 9:30 a.m.
"We have been informed by a number of staff members throughout our organization that there was some kind of problem with their most recent pay from the district. The bank OUSD uses to send out payroll, Union Bank, has apparently reversed the pay for these employees," according to a letter penned by Sasaki and posted on the school district's Twitter page. Apologizing for the inconvenience and stressing that district leaders and Union Bank were investigating the incident, Sasaki said that not all employees had their paychecks withdrawn. "It is important to note that this is not the result of District funds or any other issue with our finances," he said by way of reassurance. That said, Sasaki told the SF Gate that it's unlikely that an employee was able to reverse thousands of payroll deposits simply with a click. District officials, however, don't believe this is an act of sabotage, he stressed. The employee who made the mistake has not been identified and it remains unknown whether there is disciplinary action in the person's future.